The Valemon field will be developed using a fixed steel platform. The steel jacket weighs 9,000t and is installed at a water depth of 135m. Since the Valemon field is located close to the Kvitebjørn and Gullfaks South fields, their existing infrastructure will be used to produce the Valemon field. A computer-generated image of the Valemon field. The Valemon field is located between production licence 050 and 193 in the Norwegian Sea. This gas and condensate field lies at a water depth of 135m, approximately 160km west of Bergen. "Valemon is expected to produce gas at a peak rate of three billion cubic metres yearly." Statoil is the operator of the field with a 53.77% interest. Other stake holders include Petoro (30%), Centrica Resources (13%), and A/S Norske Shell (3.23%). Their interests in the field are subject to government approval of the Valemon unitisation agreement. The partners will invest Nkr22.6bn in developing the field. Statoil submitted a plan for the development of the Valemon field in October 2010 and governmental approval was given in June 2011. First production from the field was achieved in January 2015. Valemon is expected to produce gas at an annual peak rate of three billion cubic metres. The Valemon field was discovered in 1985 by the 34/10-23 well. Statoil confirmed the presence of hydrocarbons with the drilling of the 34/11-5 S exploration well in June 2006. Drilling of the well was carried out from the Kvitebjørn platform to a depth of 4,370m under the sea. The 7,380m-deep well was the longest high-pressure / high-temperature (HPHT) well ever to be drilled by Statoil. Hydrocarbons present in the Valemon field are of the Middle Jurassic age. The field is estimated to contain 192 million barrels of oil equivalent. Recoverable reserves are estimated at 26 billion cubic metres of gas and 31 million barrels of condensate. 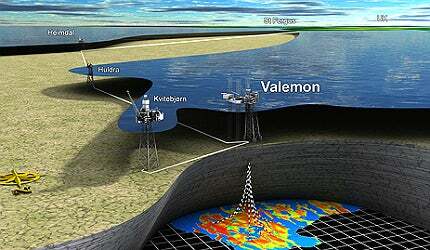 The reserves make Valemon one of the biggest undeveloped gas fields in the North Sea. In May 2010, the Valemon field was placed on fast-track development, enabling production to begin two years ahead of schedule. 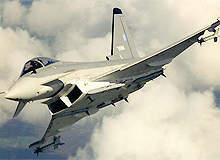 The partners planned to carry out further development work on the field; however, this was scrapped. The field is being developed using a fixed steel platform. Ten production wells and two injection wells will be drilled from the unstaffed platform by 2017. In July 2012, the Petroleum Safety Authority Norway gave its permission to Statoil to use the West Elara jackup rig for drilling on the Valemon field. The Valemon platform consists of a steel jacket and feature separation facilities for gas, condensate and water. In June 2012, the 160m tall steel jacket of the platform was installed at the field. "The Huldra pipeline will carry the gas to the Heimdal platform from where it is exported to the UK and the European markets." The steel jacket weighs 9,000t and is installed at a water depth of 135m. 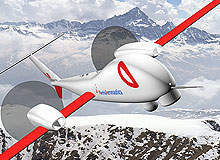 It has a footprint of 45m by 45m, with its top measuring 26m by 30m. The platform includes an eight-storey living quarters building featuring a helideck. The building accommodates 40 single bed cabins, a medical facility, a control room and other facilities. Statoil envisaged a basic separation and export strategy for the field. The hydrocarbons produced are separated at the Valemon platform into rich gas and condensate. Since the Valemon field is located close to the Kvitebjørn and Gullfaks South fields, their existing infrastructure is used to produce the Valemon field. The Valemon platform will become the first Statoil-operated platform to be remotely controlled from shore, upon completion of drilling in 2017. Gas produced at the Valemon field is transported by a new 22in pipeline to the existing 22in Huldra pipeline, which will carry the gas further to the Heimdal platform from where it is exported to the UK and the European markets. Natural gas liquids (NGL) and condensate produced at the field are sent through a pipeline to the Kvitebjorn platform. The condensate is stabilised and sent to the 203,000bpd Mongstad refinery near Bergen. In 2008, Alliance Engineering completed the feasibility study for the fixed jacket platform for the Valemon field. A unit of the John Wood Group, Alliance, carried out pre-FEED for the jacket and the topsides of the platform. The Åsgard oilfield lies on the Haltenbank in the Norwegian Sea, 200km from Norway and 50km south of Statoil’s Heidrun field. In October 2010, Heerema Vlissingen, a unit of the Heerema Fabrication Group, was awarded a contract for the construction and installation of the steel jacket for the Valemon platform. The contract follows the FEED study carried out by another unit of Heerema Fabrication Group, HFG Engineering Europe. Statoil contracted Samsung Heavy Industries (SHI) in May 2011 to construct the topsides for the Valemon platform. The EPC contract valued at Nkr2.3bn includes topsides and living quarters. Samsung signed a subcontract with Grenland Group to carry out detailed engineering and construction of the topsides. IKM Ocean Design won the contract to design the new pipeline. Cast-nodes for the Valemon jacket were supplied by Vulcan SFM. Saipem completed installation of the topsides of the platform in July 2014. In June 2011, Hertel Marine was subcontracted to design and construct the Valemon field’s living quarters. In November 2011, SHI subcontracted Technip to provide detailed engineering, procurement engineering and follow-on engineering support for the platform’s topsides. Technip won another contract in February 2012 from Statoil for installation and tie-in of spools and power cables at the field. Parker Hannifin Corporation was contracted in May 2012 to design, manufacture and supply 1.5km of subsea power cable (24kV). The power cable includes built-in fibre-optic communication lines. Tyrihans is located on the Haltenbank in the Norwegian Sea, 35km southeast of the Kristin field in roughly 285m of water. The strike in June 2012 by Norway’s oil and gas workers about pension reforms is estimated to have cost the nation £300m in lost production. Competentia and our US consulting arm, Argonauta, provide the most experienced and productive project management, engineering, subsea and subsurface professionals to strengthen and support the successful execution of our customers' oil and gas developments globally.